Olympus has announced the development of the M.Zuiko ED 150-400mm f/4.5 TC1.25x IS PRO lens which features a built-in 1.25x teleconverter. The new lens is designed to provide excellent optical performance in a compact, lightweight form. Like other lenses in the Olympus PRO series, it is dustproof, splashproof and freezeproof down to -10°C. In-lens IS (image stabilisation) combines with the body-integrated 5-axis Sync IS system in Olympus cameras to provide superior steadying for handheld shooting. It is scheduled to go on sale in 2020. 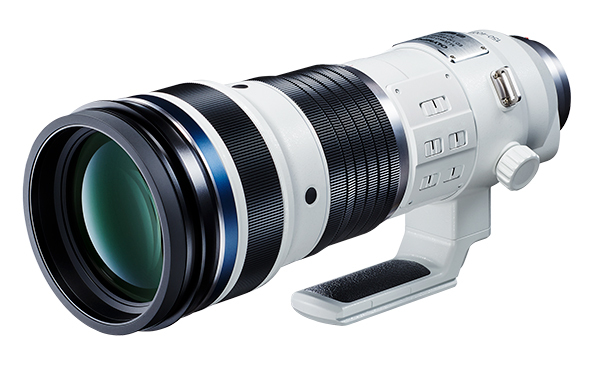 Also in development is the M.Zuiko Digital 2x Teleconverter MC-20, which can be attached to the M.Zuiko ED 150-400mm f/4.5 TC1.25x IS PRO lens to extend its range from the 35mm equivalent of 300mm to 1000mm to make handheld super telephoto shooting possible at 2000mm (35mm equivalent). Doubling the focal length of the master lens, it has similar weatherproofing to the PRO lenses. It is expected to go on sale in mid-2019. Design mockups of both products will be on display at the CP+ Camera & Photo Imaging Show held at the Pacifico Yokohama in Japan beginning Thursday, February 28, 2019.